Traveling has wonderful aspects and one of them is to meet incredible people. On my last trip to Indonesia, I had the pleasure of meeting Salini Rengganis. This girl is one of the hopes of female surf in that part of the world and surf’s better than many guys. Salini is a great athlete, frequent in competitions all over Indonesia. She likes Bali but it’s in Java that she feels more at home. 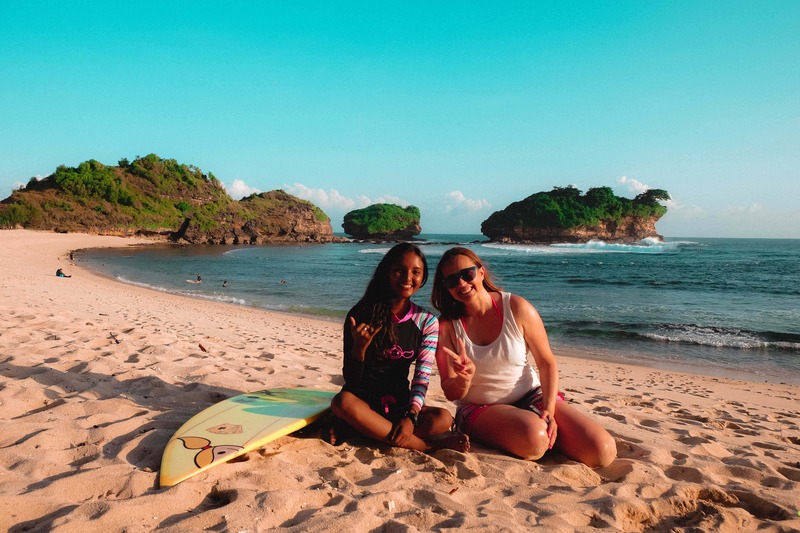 She knows Watu Karung and Pacitan as the palm of her hand and is always waiting for the best wind and swell conditions to get into the water. At the beach, she told me that the surfer she most admires is Bethany Hamilton, for all her presence and the incredible surf she has. She also told me about her desire to one day travel to Hawaii. And she doesn’t rule out the dream of visiting other countries, such as Spain, Brazil, and Portugal. Tubes are her favorite maneuver and when she’s not in the water doing them, we can find her skating or singing to friends. Although she was embarrassed when I questioned her about it. To be honest, the conversation we had on Watu Karung beach was recorded, but the sound of the sea and the beach drowned out our voice and it was impossible to present you that moment. In any case, here’s a short video I made with images that Salini’s father kindly gave me. Do you like meeting Salini? Tell me what you think of her in the comments box below and share this post on your social media. Let’s show this girl to the world!